Have a favorite book that is tattered and worn that you want to hold on to as a keepsake? 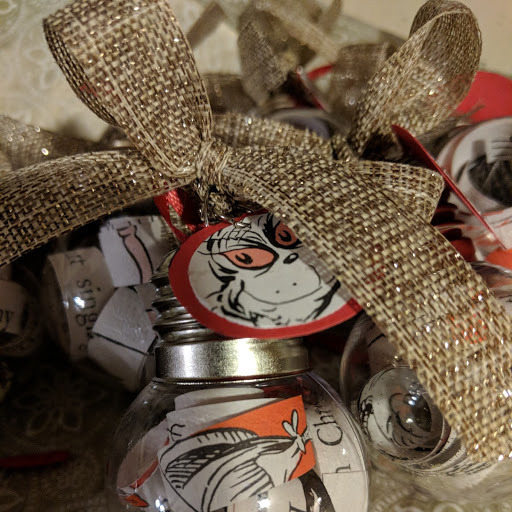 Bring it with you and we will show you how to recycle it into a book themed ornament. Don't have a book to recycle? No problem! We will have extras on hand. All ages welcome. This is a drop-in program that begins at 2:00 PM and runs until 5:00 PM or while supplies last. Sign up to receive a reminder of this event.